Baton Rouge hip-hop artist Marcel P. Black has been curating a series of hip-hop shows, #CultureOverEverything, and will be closing the year with a show Saturday in Baton Rouge. The Monastery, from Birmingham, Alabama, will perform at Southside Arts Center on Saturday. Atlanta’s D. Horton will perform at Southside Arts Center on Saturday as part of a #CultureOverEverything showcase. Marcel P. Black takes his participation in hip-hop, as a culture and as an art form, very seriously. So much so that the Oklahoma native and veteran Baton Rouge emcee promotes the mantra “#CultureOverEverything” in his role as a show organizer and as a preeminent artist in the city's underground rap community. Black, an independent national touring artist, has been facilitating #CultureOverEverything hip-hop shows across the South throughout 2018 and will close out the year on Saturday with a show at Southside Arts Center. Black will perform with The Monastery, of Birmingham, Alabama; D. Horton, of Atlanta; and Baton Rouge's DQ Rogers. DJ Automatik will provide the music, and Michael Armstead will host. Black traveled the country this year performing his distinct brand of conscious hip-hop music in new-to-him markets such as Oakland, California, and Chicago and revisiting favorite destinations like Jackson, Mississippi; Memphis, Tennessee; and Dallas. For Black, a significant factor of crisscrossing the nation in the name of hip-hop is what he is able to bring back to his adopted hometown. 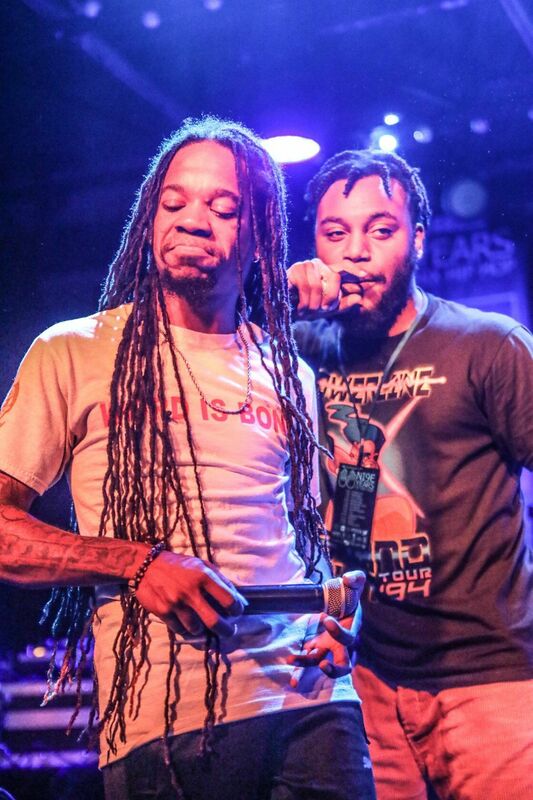 He credits his experiences on the road with being able to strengthen the Baton Rouge scene by connecting his rap peers across geographic lines. As an artist-facilitator, Black keeps a pay-it-forward mindset. It is a level of mentorship that was not afforded to him in his formative years as an emerging Baton Rouge rapper. Black wants to make sure there's a vibrant narrative around Baton Rouge independent hip-hop. He hosts a monthly showcase, Fade the Flow Sundays — in partnership with barber Michael "Solelab BR" Thomas — and a Hip Hop is Alive quarterly showcase organized by the BR Hip Hop Project. At the seasoned hip-hop age of 35, Black is more infatuated with the culture than ever before. And what do attendees have to look forward to when attending a Marcel P. Black-curated underground hip-hop show in Baton Rouge? “Some of the best talent in the country," Black said, "bar for bar ... show for show ... performance for performance, we have just as good talent in the city of Baton Rouge as anywhere else in the country."